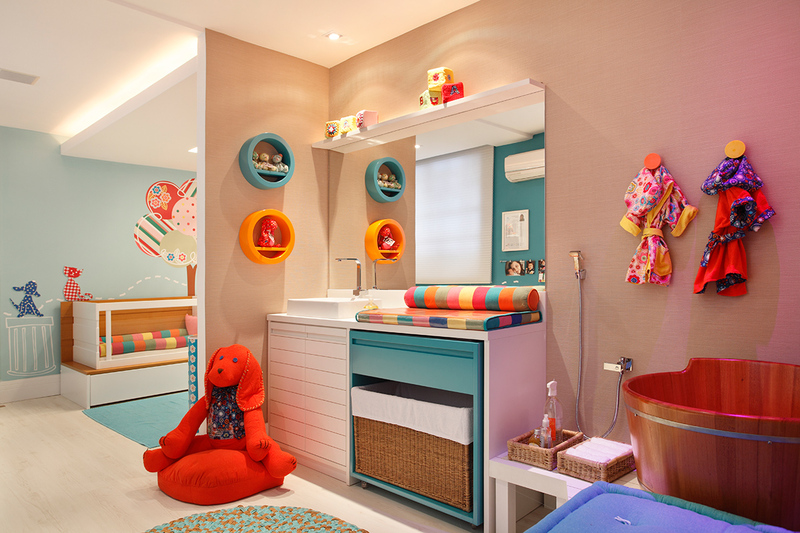 Between colors, forms and objects, baby’s rooms should promote comfort for the baby and also functionality. This project is full of ideas that look to optimize the use of space with multifunction furniture. 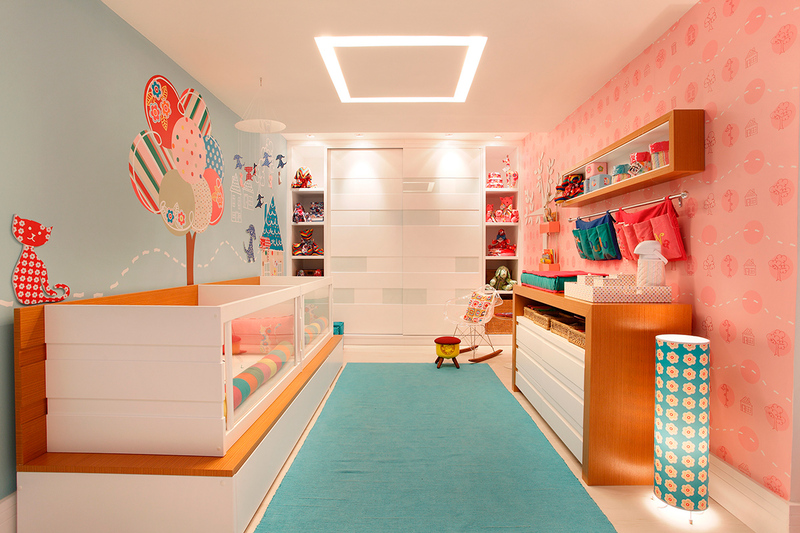 A contemporary and fun space, full of ludic references, with modern and functional furniture created by the architect. The furniture was thought out and developed to accompany the growth of the babies, so they could keep being utilized for longer, making the space always current. Now on the Spa, the babies have a truly relaxing temple. 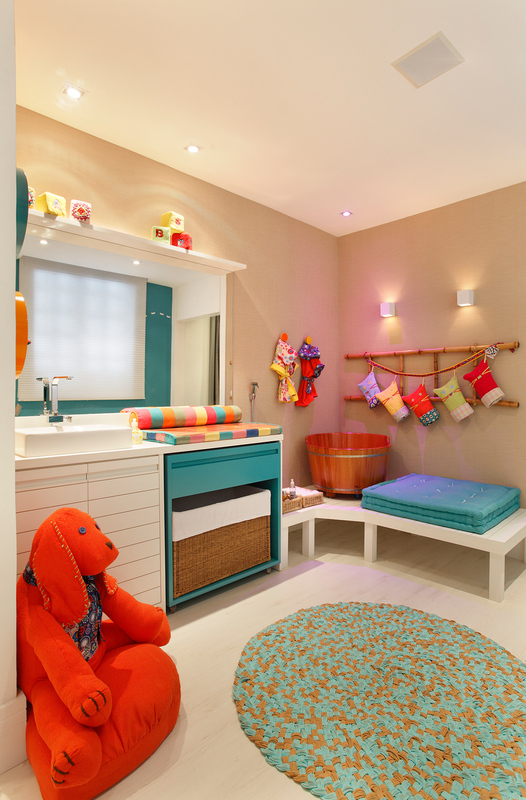 The space has a futon for Shantala practice, kids Jacuzzi spa, bathtub with LED RGB lighting for the practice of chromotherapy.